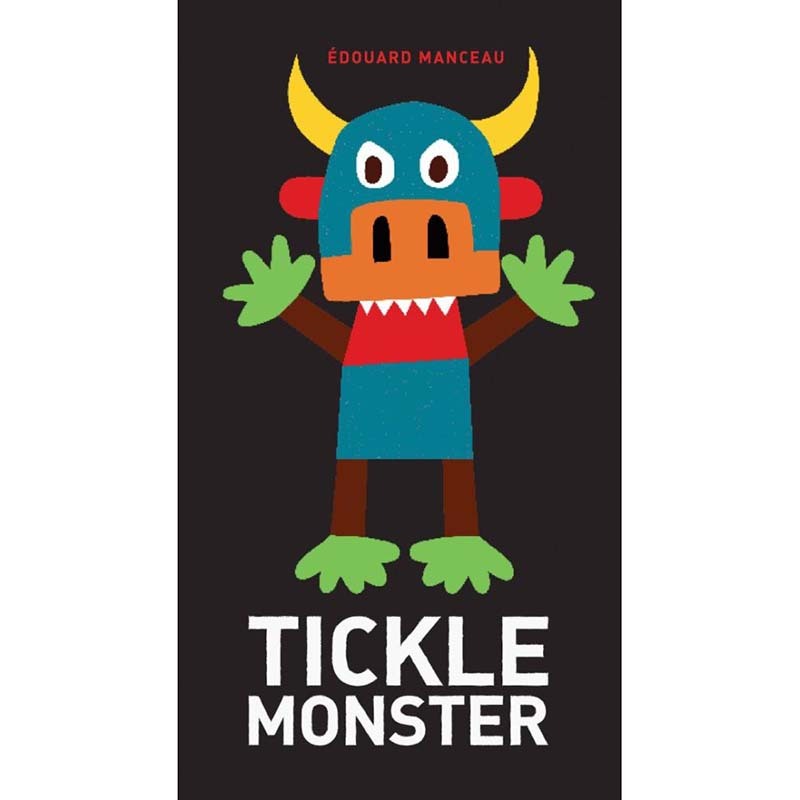 Tickle Monster is an engaging picture book which prompts young children to face their fear of monsters and take charge of the situation! The reader is prompted to tickle various parts of a monster, deconstructing the creature and repurposing his parts into a far less threatening scene. His horns become the moon, his legs and arms become trees, his nose becomes a car. . . . Slowly but surely, the monster’s shapes build a peaceful nighttime landscape. Manceau’s bold, geometric illustrations create a deceptively simple visual narrative that encourages readers to see the parts as well as the whole. Reminiscent of Ed Emberley’s Go Away, Big Green Monster!, this book empowers the child to be brave and clever in the face of adversity.